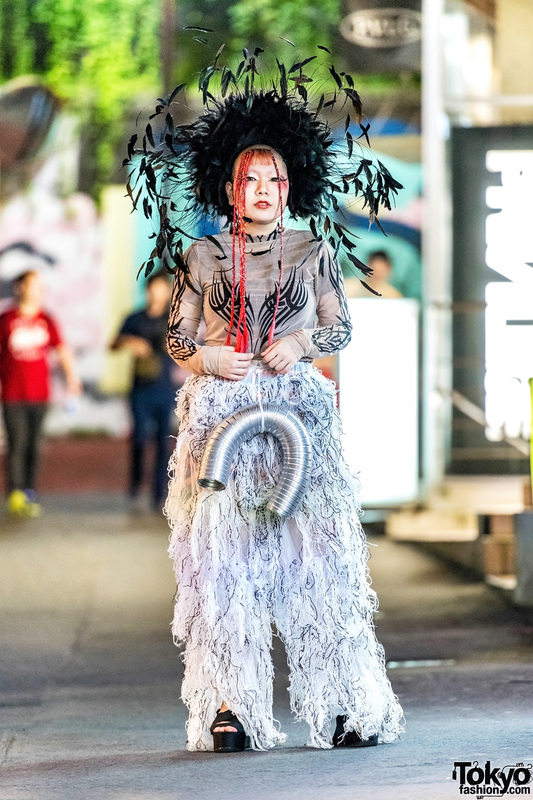 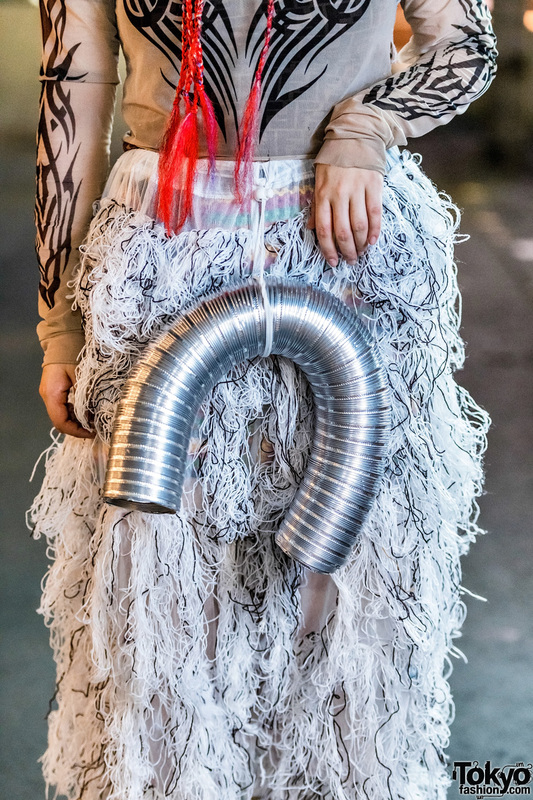 While out on the streets of Harajuku one evening, we came across Sakuran, the 18-year-old student whose creative avant-garde styling always catches our eye. 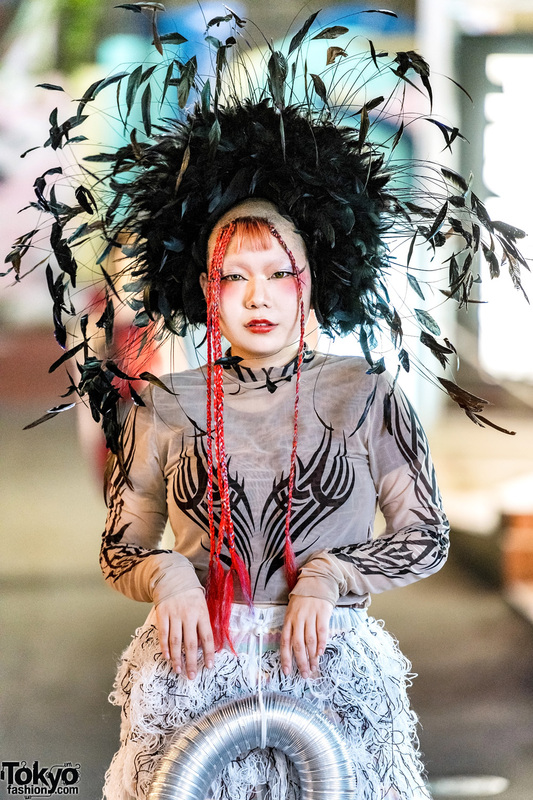 This evening, Sakuran – sporting partially-shaved hairstyle with short bangs – is decked out in a semi-sheer tattoo print top from Dolls Kill, which she wore with a short-sleeved printed top underneath. 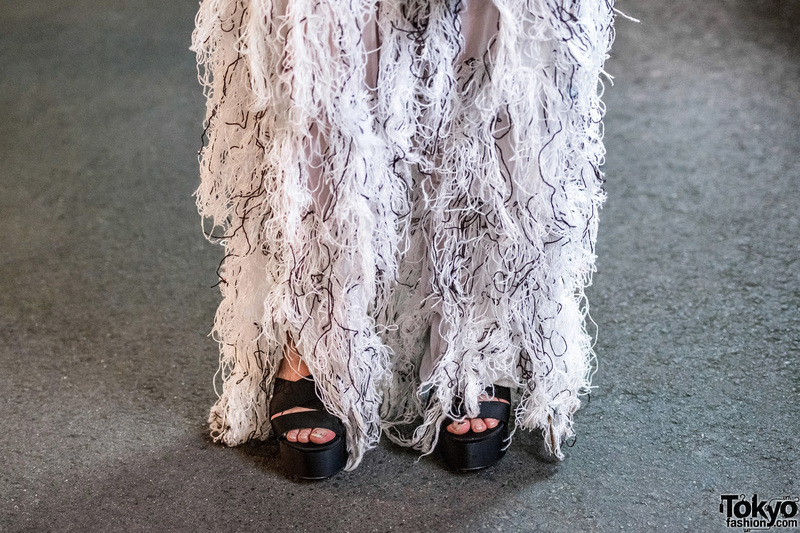 She styled her tops with remake white drawstring pants with black-and-white threaded details for a furry look, and finished off her ensemble with black platform cross-strap satin sandals. 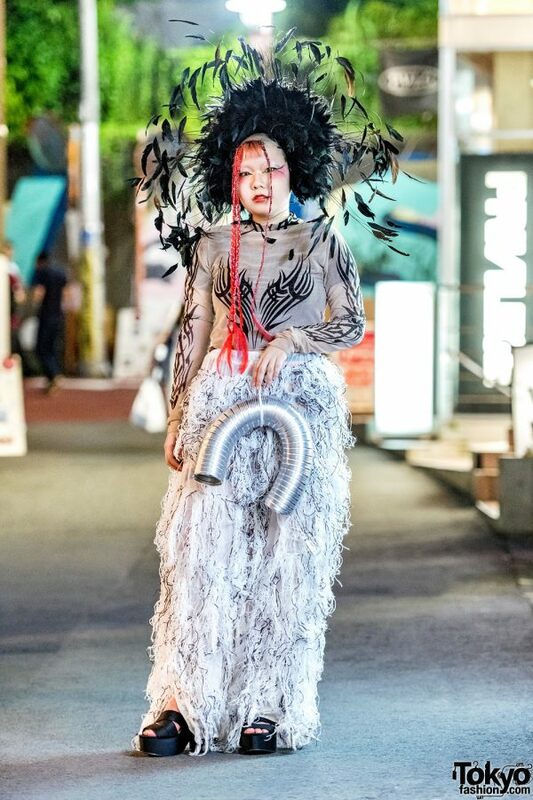 Sakuran enhanced her style with a black vintage/remake feathered headdress, and a silver u-shaped ribbed tube hanging from her pants. 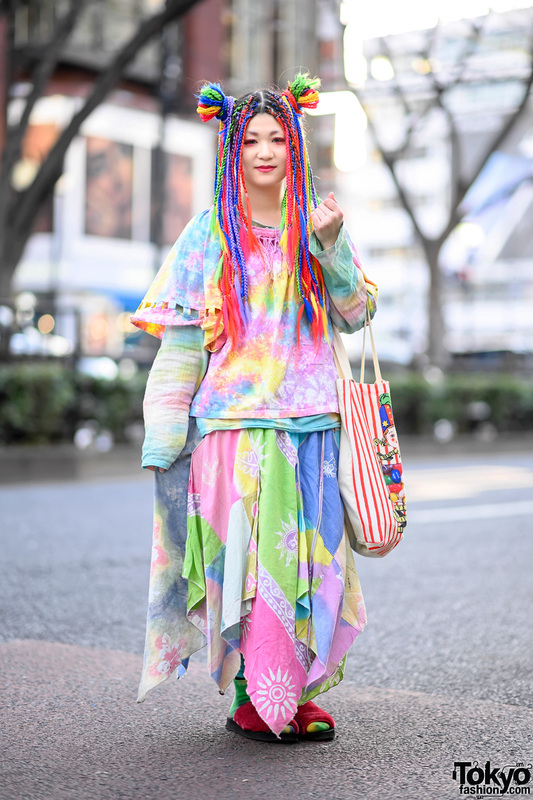 Sakuran lists Dog Harajuku and Hoyajuku as two of her favorite fashion brands, and she enjoys listening to the music of 808. 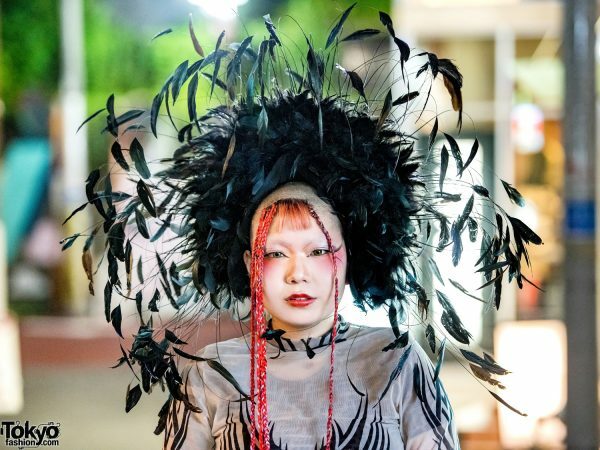 For more of Sakuran’s avant-garde street styles, check her out on Twitter and Instagram.